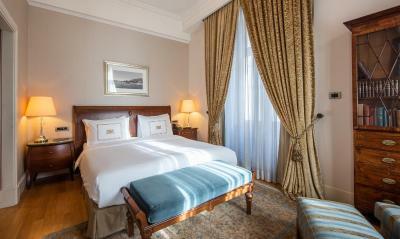 Lock in a great price for Pera Palace Hotel – rated 9 by recent guests! 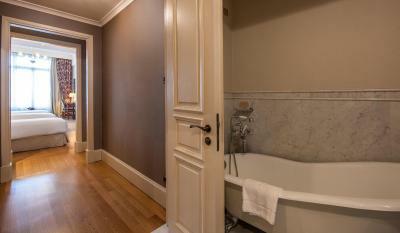 Locations is perfect, decoration and the whole environment is a very very nice experience for the eyes and the soul. Highly recommend it!!! It is a nice treat! one of the most beautiful places we've stayed, almost like a museum, outstanding service, excellent choice of deserts at the restaurant and bar. and the breakfast is delicious! 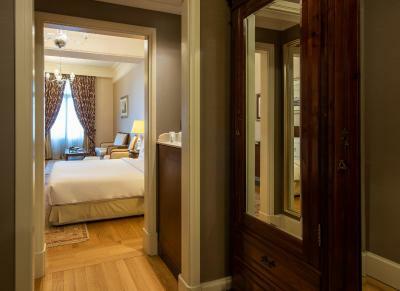 The hotel is situated in the Pera district, 5 minutes away from Galata Tower and close to a busy shopping area. 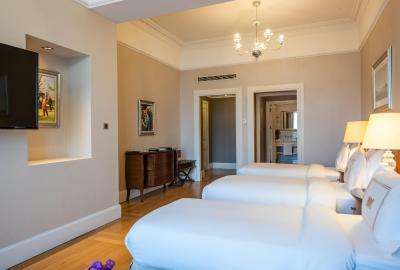 The staff was extremely helpful, the room was very spacious and with wonderful views of the city. 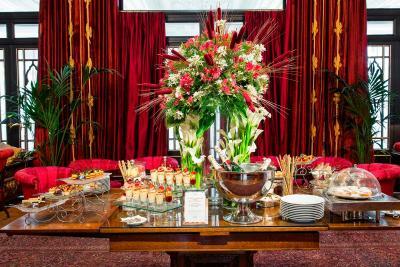 Buffet breakfast was included with a wonderful choice of all different kinds of food. The high tea at the weekend was simply amazing. Great value for money. The hotel is truly beautiful and the staff was excellent! 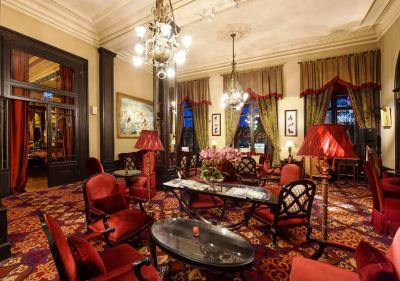 Fabulous grand old hotel that has been updated in most important ways without losing the charm and appeal of a 150 year old building. Also, the location in central Istanbul is hard to beat for access to good restaurants, shops, museums and transit options. The beauty and history of this hotel is beyond measure. Location is perfect. Easy access to all Istanbul has to offer whether you travel by taxi, tram, underground or easy two minute walk to İstiklal Street. Staff is superb on all levels. 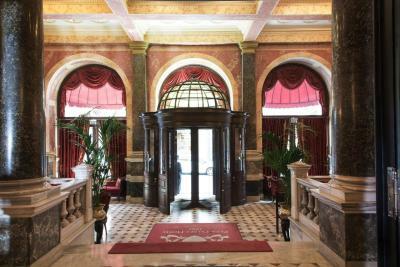 The beautiful legendary palace which brings you back to the beginning of last century, the location, the friendly staff. 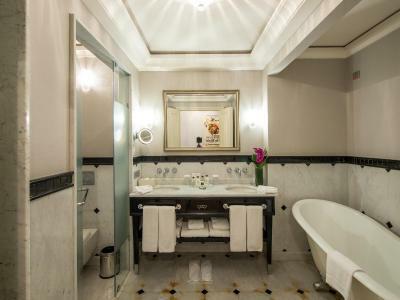 Pera Palace Hotel This rating is a reflection of how the property compares to the industry standard when it comes to price, facilities and services available. It's based on a self-evaluation by the property. Use this rating to help choose your stay! 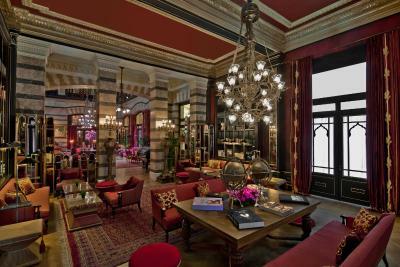 One of our top picks in Istanbul.Established in 1892 by the French-Ottoman architect Alexander Vallaury, the Pera Palace is a special category museum hotel designed in neoclassical, art nouveau and oriental styles. 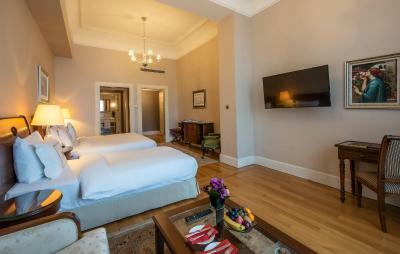 The hotel offers spectacular views of the Golden Horn, an indoor pool, and luxurious rooms with city views in the historical Pera district of Istanbul. 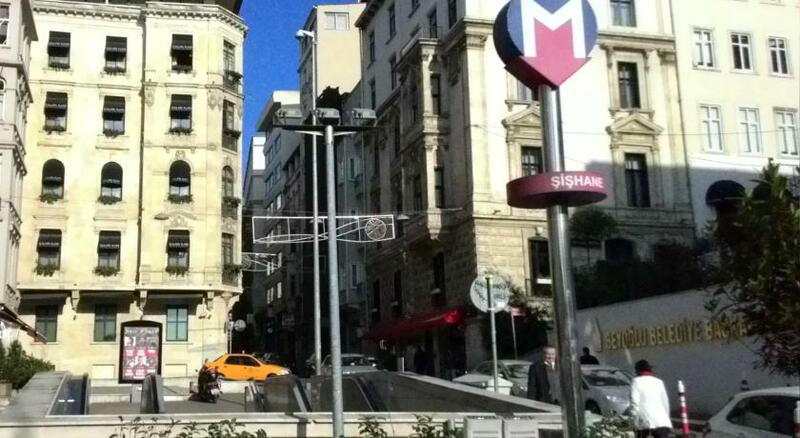 Popular shopping malls such as Cevahir, Kanyon and Zorlu Mall are easily accessible in 20 minutes via metro line. 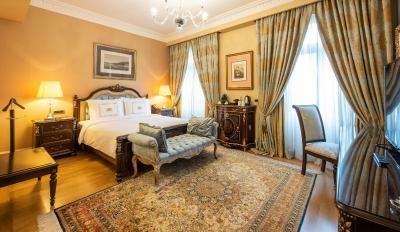 Pera Palace Hotel rooms and suites are furnished in a classical style combining European and Ottoman influences. With hardwood floors and floor-to-ceiling windows, they all come equipped with a TV and a mini-bar. 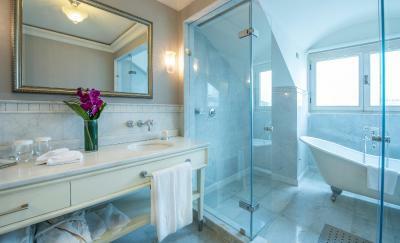 The marble bathrooms are inspired by the traditional hammam. 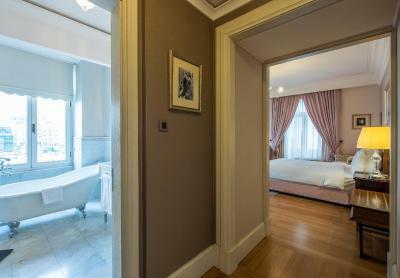 The majority of the rooms are complemented by balconies offering views over Pera and Golden Horn. 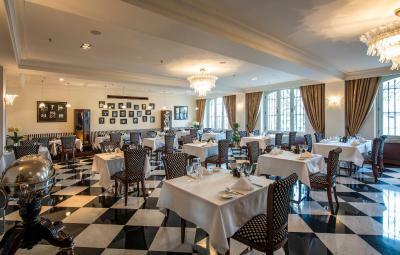 Named after murder mystery writer, Agatha Restaurant offers contemporary Turkish cuisine. 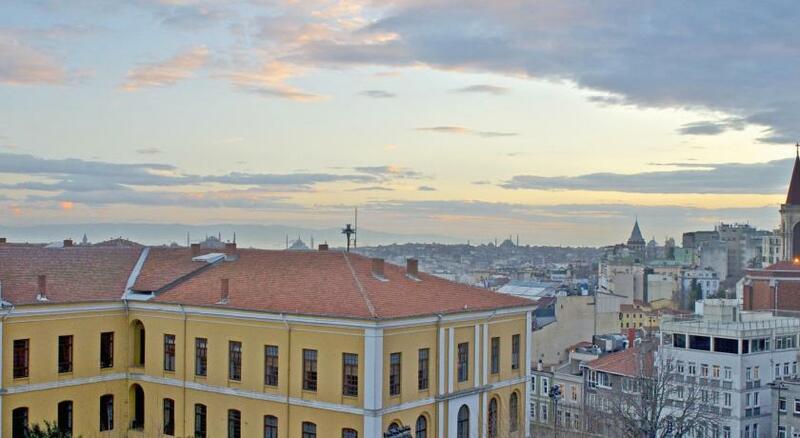 Orient Bar & Terrace is a popular meeting point for Istanbul’s high society and international travelers. 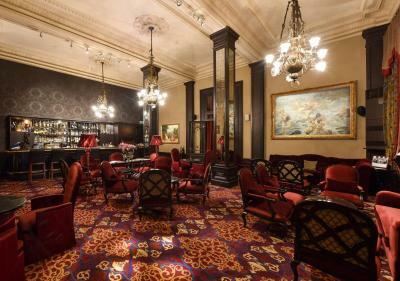 Kubbeli Saloon is a tea lounge and offers gentle live piano music adding to the magical atmosphere. The classic French patisserie Patisserie de Pera serves delicious Turkish and French-inspired handmade cakes, macaroons, gateaux and homemade chocolates. 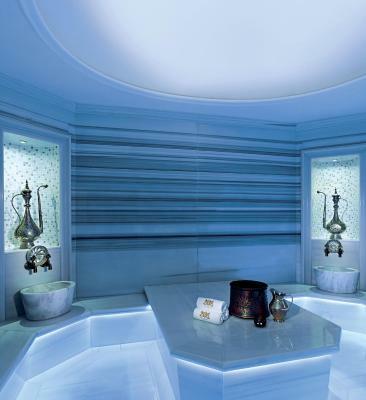 Pera SPA by Spa Soul has a hammam with a classic heated marble platform and foam bath. 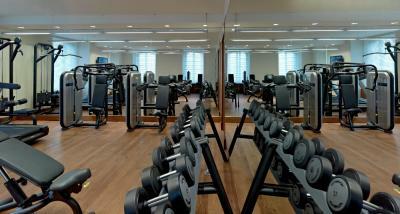 Guests can enjoy the steam bath, hot tub, sauna and a fully equipped gym. 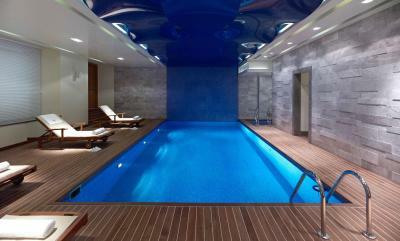 The indoor jet-streamed swimming pool offers the healing power of water both in summer and winter. 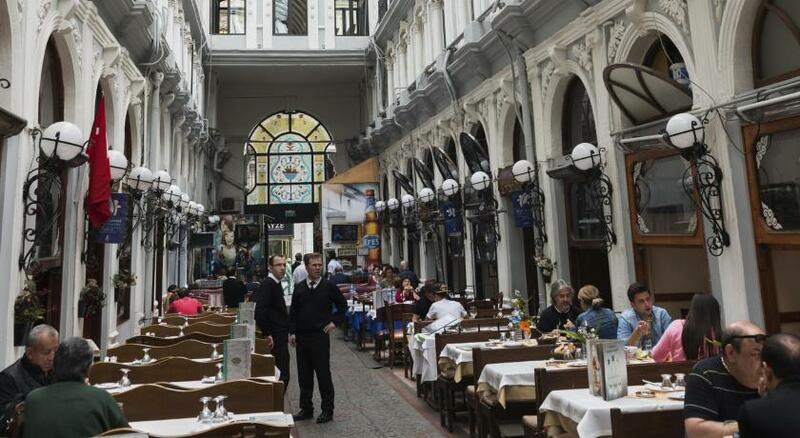 The lively streets of Istiklal Avenue are just 800 feet from the hotel. Restaurants, clubs, artist ateliers, galleries and museums are only a few steps away. 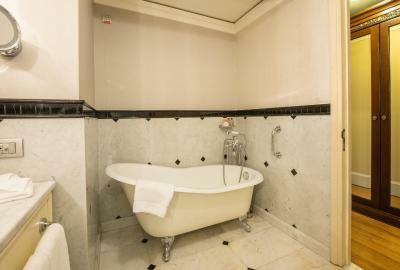 The hotel is within walking distance of Taksim Square, 1.9 mi from the touristic district of old city, 1.2 mi from cruiseline harbor and only 12 mi from Atatürk International Airport where airport transfer can be arranged at a surcharge. Istanbul Airport is 30 mi away. 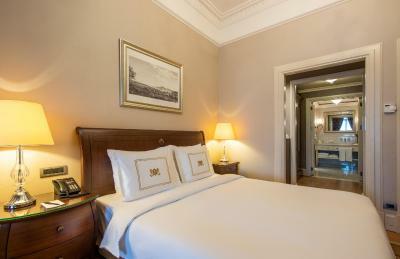 When would you like to stay at Pera Palace Hotel? This room offers an ambiance of bright and airy comfort in an urban environment. 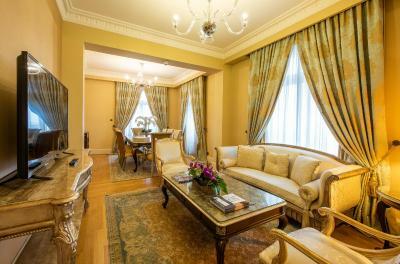 With charming and characteristic views over Pera, the interior delights with high ceilings, classic almond and burgundy colors and sumptuous antique furniture. Glass artwork has been added to divide the bed and white Carrara marble clad bathroom, allowing natural light to stream through. Most of the 44 Deluxe rooms also feature individual French balconies. 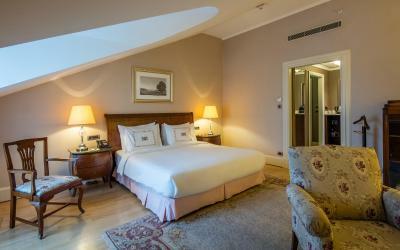 This room exudes the hotel's history, offering a traditional interpretation of comfort and luxury. You will experience the privilege of a wonderful Golden Horn view, from the gathering mists at sunrise to the glorious dusk sunset, and many of our rooms feature private balconies. 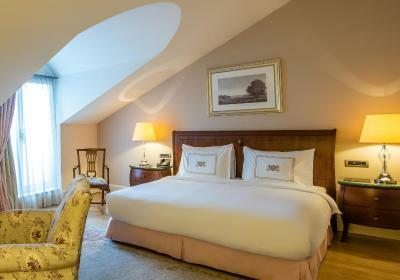 Our Grand Pera Studio twin room offers a spacious and relaxing ambiance, enhanced by an exceptional view of the historical Petit de Champs. 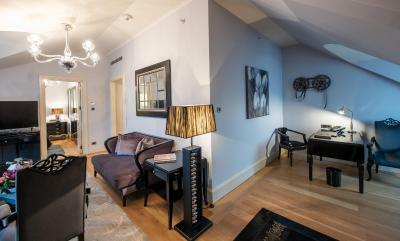 Greta Garbo rooms pay an atmospheric tribute to the legendary actress who stayed here in the 1920s. 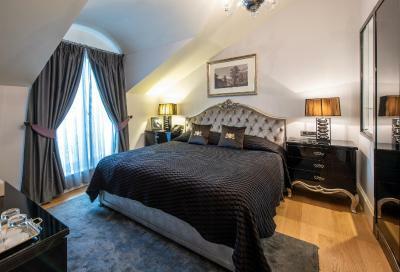 With nostalgic views over the Petit de Champs and private balconies, you will reside in an interior decorated to evoke Garbo's persona, both feminine and fragile. Ernest Hemingway suites pay tribute to the prolific American writer and are a treasure for lifestyle connoisseurs like him. Savor the panache of the interiors, in jade blue to reflect his love of the sea and earth brown for his love for cigars. 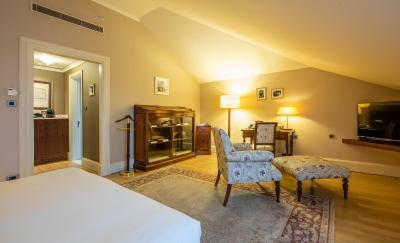 Pierre Loti suites are named after the French writer, a loyal guest of the hotel in his time. 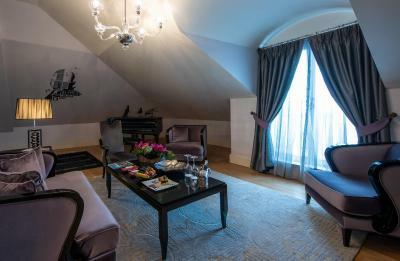 In this suite you will have an 'occasion extraordinaire' to experience charming views over both Golden Horn and Pera. This family suite features two bedrooms connected to each other with a door. It comes with a double bed, two twin beds and two bathrooms. It also includes a mini-bar and air conditioning. 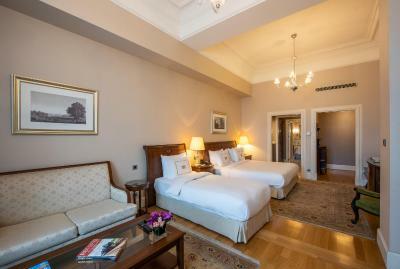 Bearing the names of British King Edward VIII and Emperor of Austria-Hungary, Franz Joseph, presidential suite is located on the fourth and fifth floor overlooking to Golden Horn. 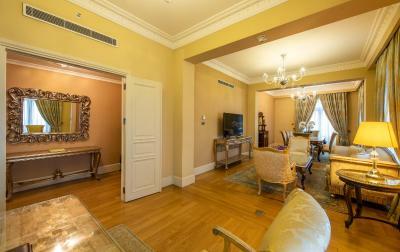 This 377 ft² suite offers spacious common areas including dining, seating and working areas. 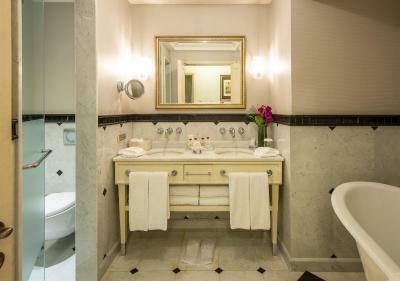 Featuring a separate dressing rooms, suite comes with bathrooms with hot tub and shower. 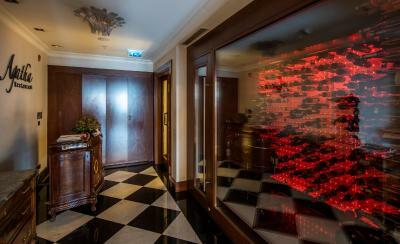 House Rules Pera Palace Hotel takes special requests – add in the next step! Pera Palace Hotel accepts these cards and reserves the right to temporarily hold an amount prior to arrival. Comfortable rooms Very good breakfast Location Service at breakfast was fantastic- thanks to the staff Dincer, Mehmet and Fikriye. The sound insulation is poor. We have been awaken because of the noice from upstairs. And the mattress is too soft. The most soft one I tried ever. I cannot fall in sleep. i have to say it is such a bad experience. The lounge have good decoration and The vintage lift is cool! and the service there is nice. We loved everything about the hotel. Breakfast needs improvement as wasn’t that fresh, for that cost I expect a much higher quality breakfast, and this was the only thing that let the place down. 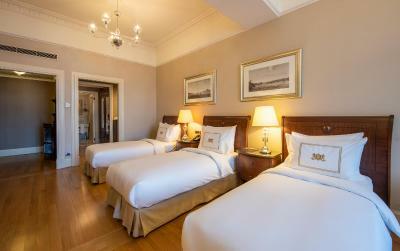 Absolutely beautiful grand old hotel, beautifully and sympathetically restored and renovated. 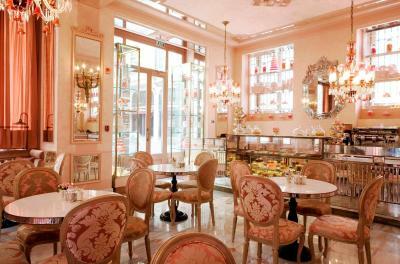 Furnishings were decadent and luxurious and the area for afternoon tea complete with pianist was wonderful. We were upgraded to a suite which was amazing, huge with wonderful views from every window and a roll top bath in the bathroom. 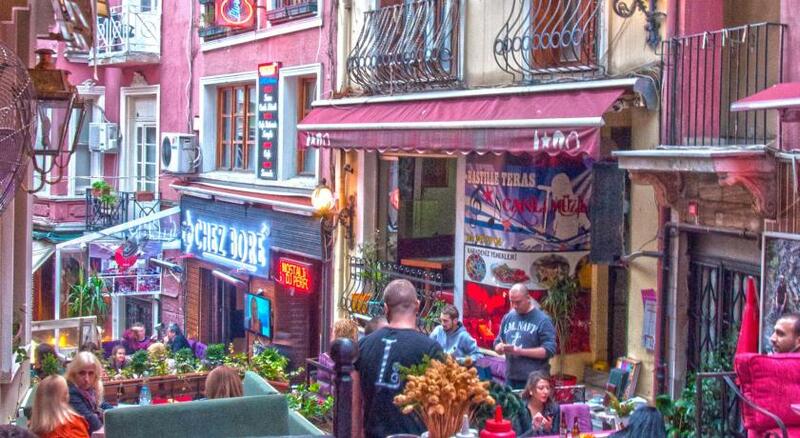 The hotel is in my favourite area of Istanbul with lots of cool bars and cafes nearby and good restaurants. I would definitely return. we stayed in room 312 and WiFi was very spotty, especially in far corner where desk is. other than that everything else was perfect! No movie channels or English television stations apart from news. History and incredibly friendly staff! Very plush! Ready made maps and information. Staffs are very polite and professional. staff came to our room and took the hand towels away when we were out; another staff rolled his eyes to us when we greeted him at the door. 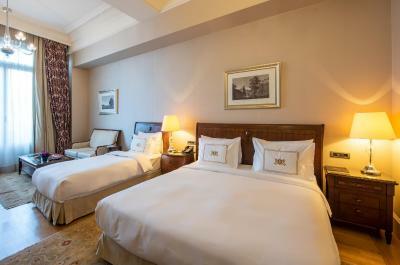 A significant hotel that one shouldn't miss for their first trip to Istanbul. 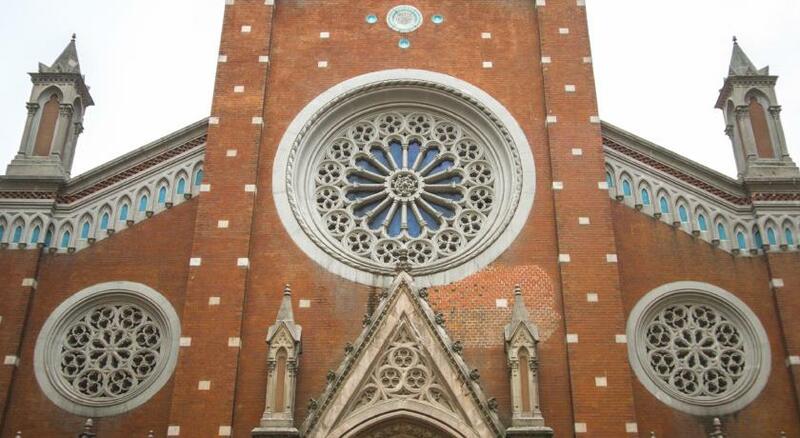 The building itself is worth visiting. The room is a bit smaller than expected but the shower is great. Room service is also nice. Everything, the best Hotel ever in Istanbul. 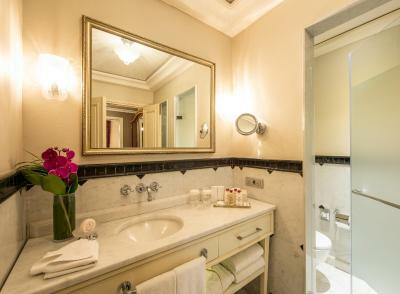 Marvellous, the hotel is excellent in every regard - lovely rooms and surroundings throughout the hotel, professional and courteous staff always willing to help with requests, the hotel is also in a good central location in Istanbul, with great facilities, and wonderful style. 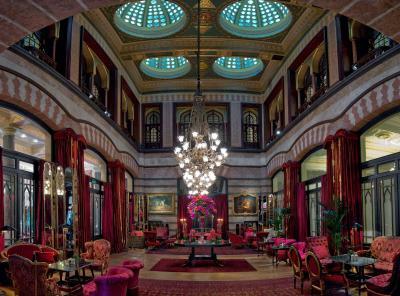 It really still deserves its reputation as Istanbul's top, historic hotel. 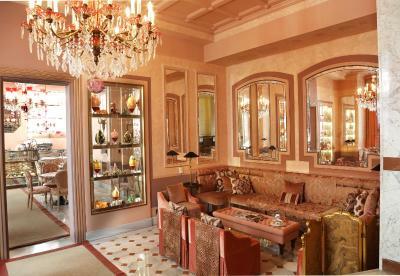 One of the best hotels I have enjoyed staying at, in the world, I look forward to staying again when in Istanbul. If you ask me: this is the best hotel in Istanbul. Perfect staff: very professional all the time helpful and in general very nice. 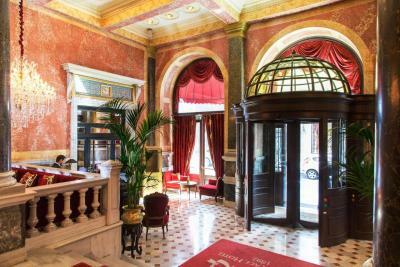 I stayed in this hotel more than 30 times the last 4 years and I had and have extremely good experience about employees and the Pera Palace Hotel in general. I will return soon.